Amy Winehouse’s northwest London home — the place where she was found dead last July at age 27 — has been put on the market by the late singer’s relatives. 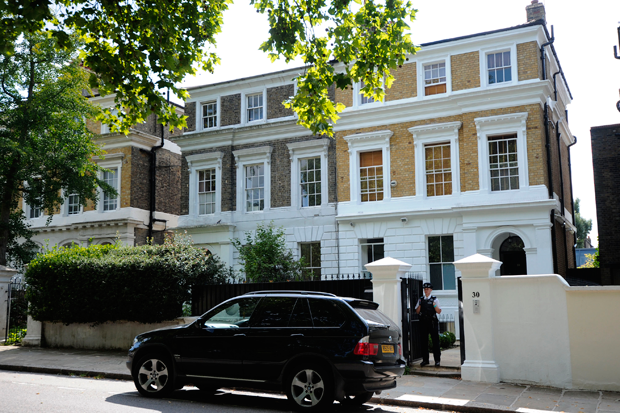 Her “period villa,” located in Camden, is valued at £2.7 million (or nearly $4.2 million), which is coincidentally nearly equal to the fortune she left behind. The singer’s family has deemed it “inappropriate” for any of them to live there after the singer’s body was discovered by a bodyguard in one of the bedrooms. According to reports in the Sun (via the Guardian) and the AP, the family’s spokesperson explained that their decision was made “with great regret. Amy loved that house, but none of the family felt it appropriate that they should live in it. It was not practical to keep it empty while paying for its upkeep. It is a wonderful place and will be a happy family home for someone.” Rumors that it might have been considered as a headquarters for the Winehouse Foundation, the anti-addiction nonprofit set up by Amy’s parents, have been ruled out now.